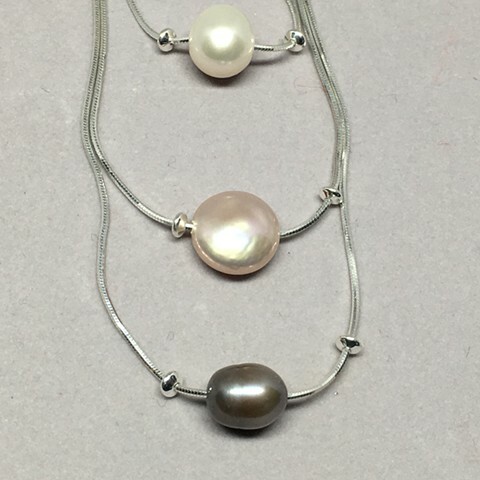 Three lovely triple A pearls. White, pink, dark grey. Set on a 16"/18" and 20" sterling silver snake chains. This is 3 chains in one necklace. Cannot be separated.